Bohtan Neo-Aramaic is a modern Eastern Neo-Aramaic language, one of a number spoken by the Assyrians. Originally, Bohtan Neo-Aramaic was spoken on the Plain of Bohtan in Şırnak Province of southeastern Turkey as well in the town of Gardabani, near Rustavi in Georgia, Göygöl and Ağstafa in Azerbaijan. However it is now spoken in Moscow, Krymsk and Novopavlosk, Russia. It is considered to be a dialect of Assyrian Neo-Aramaic since it is a northeastern Aramaic language and its speakers are ethnically Assyrians. Before World War I, there were around 30,000 speakers of Bohtan Neo-Aramaic on the Plain of Bohtan, around the town of Cizre in Turkey's Sirnak Province. 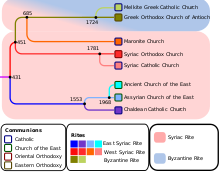 Mostly members of the Assyrian Church of the East, their language was a northern dialect of the more common Assyrian languages, Assyrian Neo-Aramaic and Chaldean Neo-Aramaic, but already somewhat more conservative than the standard Alqosh dialect. With the Assyrian Genocide that hit the Assyrians in eastern Turkey at the end of the war, many were forced from their homes. This dialect is derived from the Northeastern Neo-Aramaic (NENA) languages, which is made up by Bohtan Neo-Aramaic, Assyrian Neo-Aramaic, Chaldian Neo-Aramaic, Hertevin, Senaya and Koy Sanjat Surat. Bohtan refers to the area between the Tigris and Bohtan river . The dialect mostly spoken by Christian communities. The Neo-Aramaic language is classified under Afroasiatic and the Bohtan dialect is more specifically one of the NENA dialects which are found south-eastern Turkey, northern Iraq and western Iran  Due to the dislocation of NENA speakers, neighboring languages have influenced the dialects, such as Kurdish. One of the latest studies of the language was carried out by Samuel Ethan Fox in 1999, showing that Bohtan Neo-Aramaic has retained many conservative features of Chaldean and Assyrian Neo-Aramaic which are not present in the standard Alqosh and Urmia dialects, but has also developed new features that are not present in other dialects. Bohtan Neo-Aramaic is considered as a severely endangered language, mostly found in Belgium, France and the former Soviet Union. Due to migration and intermarriage, younger generations speak the language less fluently. In Belgium, Mechelen there over 10,000 Assyro-Chaldeans who speak the Bohtan Neo-Aramaic.Which they pass on to their children. Also in France, there over 35,000 Assyro-Chaldeans who speak Bohtan Neo-Aramaic. ^ Hammarström, Harald; Forkel, Robert; Haspelmath, Martin, eds. (2017). "Gardabani Bohtan Neo-Aramaic". Glottolog 3.0. Jena, Germany: Max Planck Institute for the Science of Human History. Heinrichs, Wolfhart. 1990. "Studies in Neo-Aramaic. Scholars Press: Atlanta, Georgia.ISBN 1-55540-430-8. Maclean, Arthur John. 1895: "Grammar of the dialects of vernacular Syriac: as spoken by the Eastern Syrians of Kurdistan, north-west Persia, and the Plain of Mosul: with notices of the vernacular of the Jews of Azerbaijan and of Zakhu near Mosul. Cambridge University Press: London. Fox, Samuel. 2002. "A Neo-Aramaic Dialect of Bohtan", in W. Arnold and H. Bobzin, „Sprich doch mit deinen Knechten aramäisch, wir verstehen es!“ 60 Beiträge zur Semitistik Festschrift für Otto Jastrow zum 60. Geburtstag, Wiesbaden: Harrassowitz 165–180. Jastrow, Otto. 1988. "Der neuaramäische Dialekt von Hertevin" (Provinz Siirt). Wiesbaden:L Harrassowitz. This page was last edited on 7 April 2019, at 15:14 (UTC).